Kingsbridge Funeral Directors runs alongside Adrian Mundy Monumental Masons, a local business that was started nearly 20 years ago. 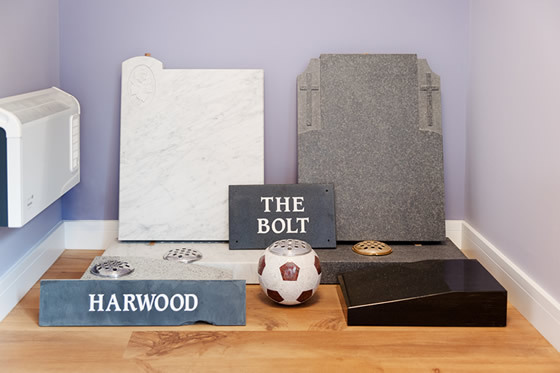 We provide comprehensive masonry service, that provides all types of new memorials ranging from headstones, cremation plaques and vases with a full inscription design service. We can provide additional lettering to existing memorials and can carryout full memorial renovation. Our workshop is in the same premises as the funeral home, you are welcome to call in at any time.